The Sorel Tivoli II boot is a winter boot that is ideal for long walks or hikes in cold, winter weather. What makes the boot unique is its lightweight, topping the scales at just 1 lb 2 oz. Compared to many other winter boots, the Tivoli feels almost running-shoe light on the feet, making walking long distances a pleasurable experience instead of a long, hard slog. The lightweight of the Tivoli is due to several differences compared to other Sorel’s. First, the rubber bottom outsole only extends a small way up the boot, instead of covering the entire foot and part of the ankle (see the Caribou boot for an example of a typical rubber bottom outsole). Secondly, the boot is a mid-height boot, with a shaft height of 7 inches—which is two to four inches shorter than a typical Sorel winter boot. The lower height of the boot, however, does have one drawback. The boot isn’t ideal for wandering through deep snow. The shorter height of the boot makes it easier for snow to sneak into the boot, especially since the Tivoli II lacks the snow gaiter (snow cuff) found on most other Sorel’s. Of course, the shorter height provides a significant benefit…comfort. Wearing a Tivoli II is nearly identical to wearing a typical pair lightweight hiking boots. Moreover, the shorter height of the boot also makes driving, particularly long distances, far more enjoyable due to the ankle having full freedom of movement. Overall, the Sorel Tivoli II fits a gap that has been around a while in the Sorel winter boot line up. While the boot isn’t ideal for playing in deep snow or plowing through deep mud, the boot is perfect for walking in cold weather, thus making it perfect for most city and town uses. One final note. 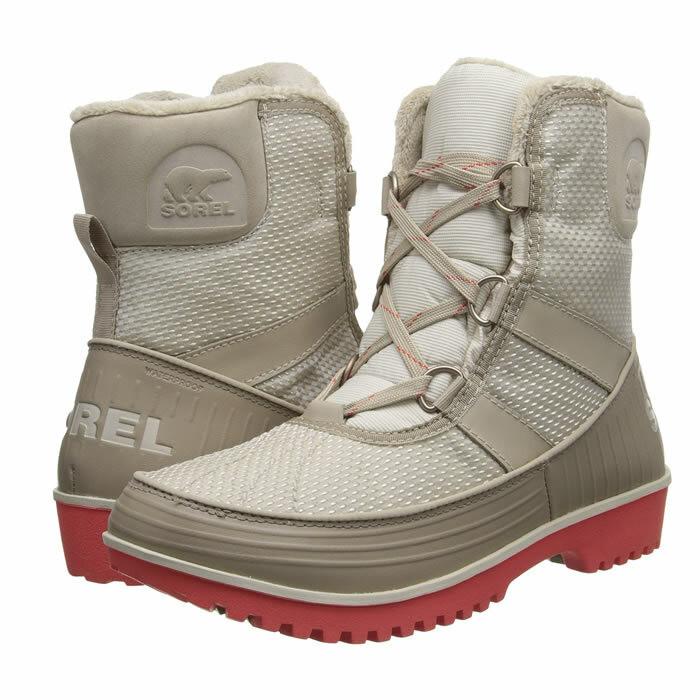 Sorel also makes a "high cut" version of this boot, called the Sorel Tivoli High II. The Tivoli II isn't as widely available as some other Sorel's. However, Amaaon usually has the full compliment of them of sizes, styles and colors. Depending on the style, The Tivoli II is generally priced around $130 - $200, with Amazon generally having the best prices. Other online retailers where the Tivoli II is sometimes available include Zappos, Sorel, Shoes.Com and Shoebuy. Temperature Rating : Unrated, but with 100 grams of Thinsulate and a fleece lining, the boot should do well down to around 0 degrees, provided a good winter sock is used. Colors Available : Changes yearly, but recent colors are : Black, Fawn, Curry, Peatmoss, Tobacco. Weight : 1 lb 2 oz. Bottom : Molded Rubber, but doesn't extend as high up as on other Sorel boots. Other Styles Available? : Yes, a "high version" is also available that is quite stylish. Ideal walking and hiking boot in cold weather. Basically a "winter hiking boot" that is ideal for day to day uses in environments that won't require plowing through deep snow or plodding through the mud.